As we know the journal bearing has long been the strength of a turbocharger and is still currently used within most turbochargers. However a ball bearing cartridge is the latest affordable ball bearing technology providing much momentous performance enhancements to a turbocharger. Innovation of the Ball Bearing turbos began as a result to work with Garrett Motor Sports group of many racing teams. It was here that it received the term ‘cartridge ball bearing’. What is the cartridge? Well it’s a simple single sleeve system that holds a set of angular contact ball bearings on either end, whereas the original bearing system contained a set of journal and thrust bearings. Vehicles fitted with turbochargers containing ball bearing cartridges will experience stronger and sharper throttle response. Garrett turbos fitted with cartridge ball bearings will spool up to 15% faster than those fitted with journal bearings. This dramatically improves response resulting in a faster 0-60 mph boost speed. Even a handful of professional drivers using Garrett ball bearing turbochargers say they feel like they are driving s larger normally aspirated engine. A strong point why maybe ball bearings are a better option within turbochargers are due the fact they require a reduced amount of oil in order for adequate lubrication. The reduced percentage of oil also reduces the possibility for seal leakage. The ball bearing is also far more tolerant to marginal lube conditions, lessoning the possibility of turbo failure on engine shut down. 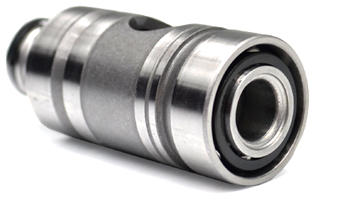 With the ball bearing cartridge the damping and control over shaft motion is far more durable and superior over the journal bearing. This allows enhanced reliability of both extreme and every day conditions. 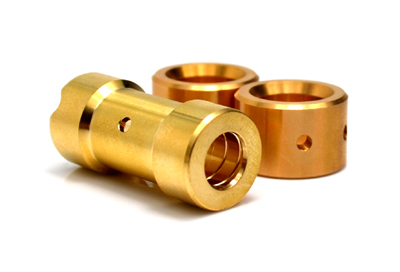 In addition to this, the opposed angular contact bearing cartridge eliminates the thrust bearing which has been widely known as the common weak link in the turbocharger bearing system. Another option you may consider or come across is the hybrid ball bearing. It simply entails replacing only the compressor side journal bearing with a simple single angular contact ball bearing. However the single ball bearing is only able to take the thrust bearing in one direction. Therefore it’s a necessity to include a thrust bearing ensuring drag in the turbine side journal bearing is unchanged. With the Garrett ball bearing cartridge included the rotor group is entirely supported by the ball bearings which in turn helps maximise performance, efficiency and of course durability.